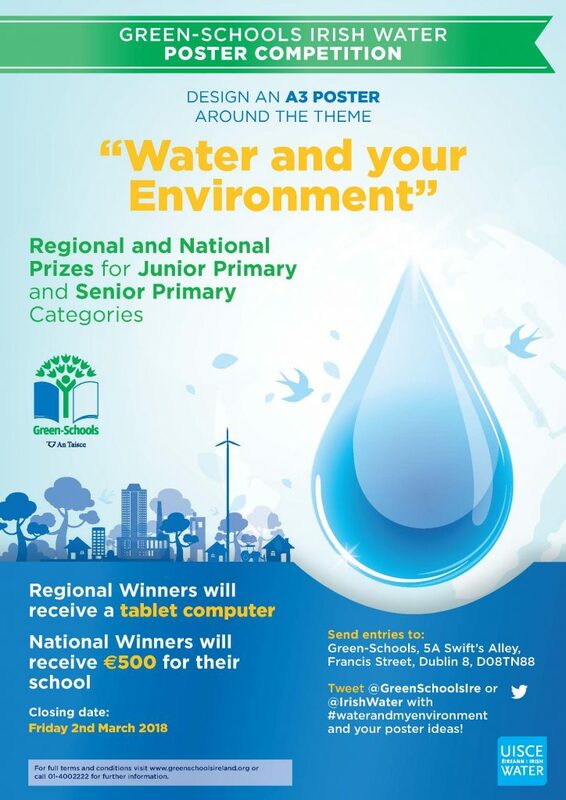 We are excited to announce details of this year’s Green-Schools Irish Water Poster Competition. 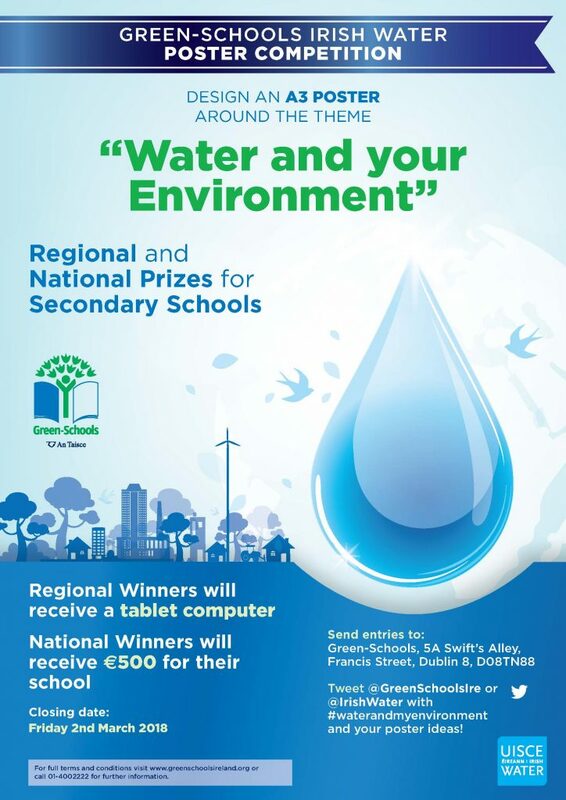 This is the fifth year we have run this competition in partnership with Irish Water. Last year we received in excess of 3,000 entries. Promotional posters have been sent to eligible schools (schools currently working on, or previously awarded for, the Water theme) and you can also download versions in English and Irish below. The theme of this year’s competition is Water and your Environment. This theme links with the theme for World Water Day in 2018: Nature for Water. There are many ways to interpret and approach this theme such as: thinking about the environment your water comes from and how it gets from there to your tap; the type and variety of nature in local bodies of water; how water impacts on your environment (in your school, at home, in the garden etc). The aim of the competition is for individual students to design an A3 poster which best illustrates the theme above. 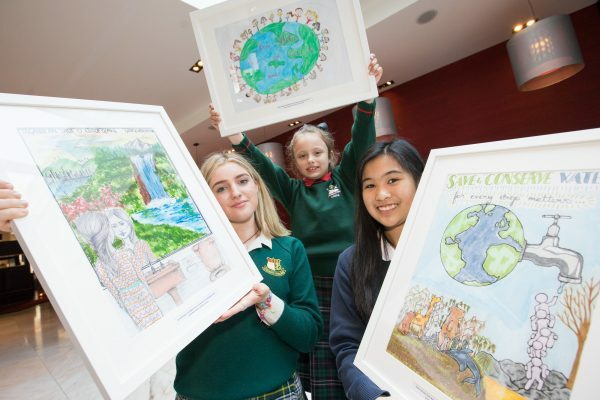 Each of the three National Category winners will also receive €500 for their school – to be spent by their Green-Schools committee as they see fit. The deadline for entries to the competition is Friday, March 9th, 2018. You can view our terms and conditions and regional information here..
View photos from last year’s Water awards here, and shots of last year’s winning posters here.